Women who face pregnancy complications may require hospitalization in a high-risk pregnancy unit (HRPU), and this may have a negative impact on the pregnant woman’s mental health. 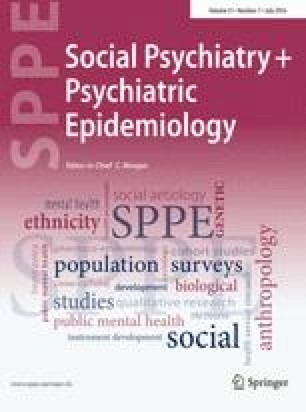 The purpose of this study was to screen for depressive symptoms in pregnant women admitted in a high-risk pregnancy unit and also to investigate associated risk factors. This was a cross-sectional study that enrolled pregnant women admitted at ≥24 gestational weeks in a university hospital HRPU, between September 2014 and November 2015. The Edinburgh Postnatal Depression Scale was used to assess depressive symptoms on admission. A cutoff score ≥13 was considered as indicative of depression. Test results were then correlated with the reasons that led to the women’s admission as well as socio-demographic characteristics. Overall, 157 of the women admitted in the HRPU during the study period were eligible for the study and agreed to complete the questionnaire. The mean age of the pregnant women was 30 ± 6 years, and the mean gestational week at admission was 32 ± 3 weeks. The prevalence of antenatal depression (score ≥13) was 28 % (44/157). In the multivariate analysis, antenatal depression was significantly correlated with smoking (OR = 2.681, 95 % CI 1.089–6.601) and the existence of thoughts for pregnancy termination (OR = 3.624, 95 % CI 1.149–11.427). Approximately one quarter of pregnant women hospitalized in the HRPU may show signs of depression at the time of admission. Smoking and an unwanted pregnancy were found to be independently associated with antenatal depression, whereas no association was found with any obstetric parameters.